The publisher's description of this book grabbed my attention, and I'm glad that it did, because it's a book I very much enjoyed. The book is split into parts, Anna in the present day and Anna in the past at university in Oxford. It's clear from the present day chapters that something happened whilst Anna was at university. It's clear she split up from her (then) love of her life, it's clear she was betrayed and it's clear one of the group is no longer with them BUT it isn't obvious who she was betrayed by, or how, or what happened to Keith. You meander all the way through the book, and you might have an inkling but it isn't obvious or predictable. There aren't any particularly major twists to the book, but I liked that it wasn't obvious and it wasn't something that you were pressingly forced to think about. It meant you could quietly indulge in the story itself and let the truth come out in its own time. The switch between decades was seamless and very well done. The characters were full of life, and the description of the setting was really lovely at times. If anything, I would have liked to have a little more made of the ending but I appreciate why it is how it is. 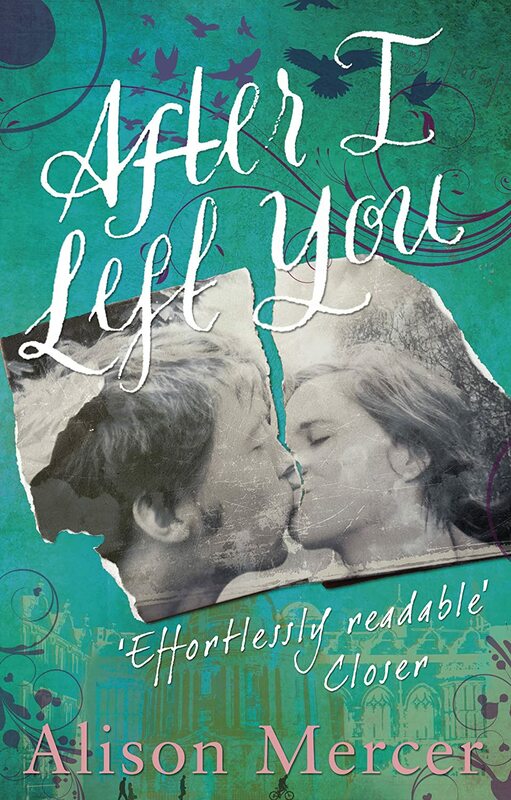 After I left you is due to be released in paperback on 31 July 2014, but I believe you can download the ebook now! Thank you to Leanne for the advanced review copy, which was provided to me in exchange for an honest review. You can follow the author on twitter @AlisonLMercer or on Facebook. You can also find Alison's blog here.